/Creating, Editing and Managing Events /I want certain tickets to go on sale and have the sale stop at certain times. How do I set special start/stop times for various ticket types? First, click on the “Edit” button to edit the event you would like to modify. Then scroll down to the “Ticket Pricing and Options” section and click the “Options” button for the ticket type you want to change the start and stop sale times. 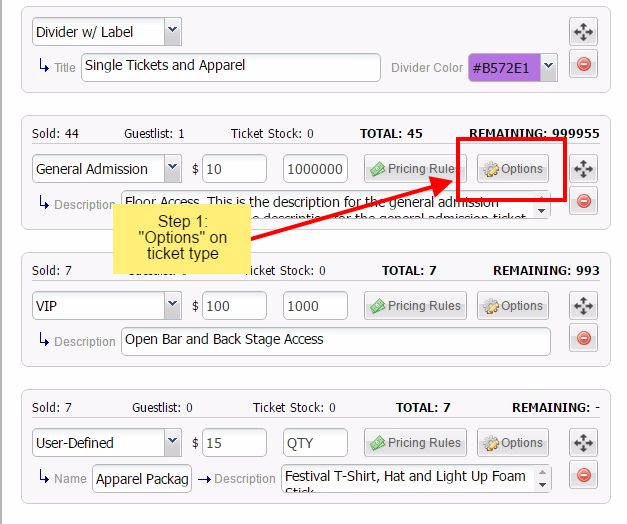 After entering the options on your ticket type, look for “Sales Options”. It will be near the bottom. 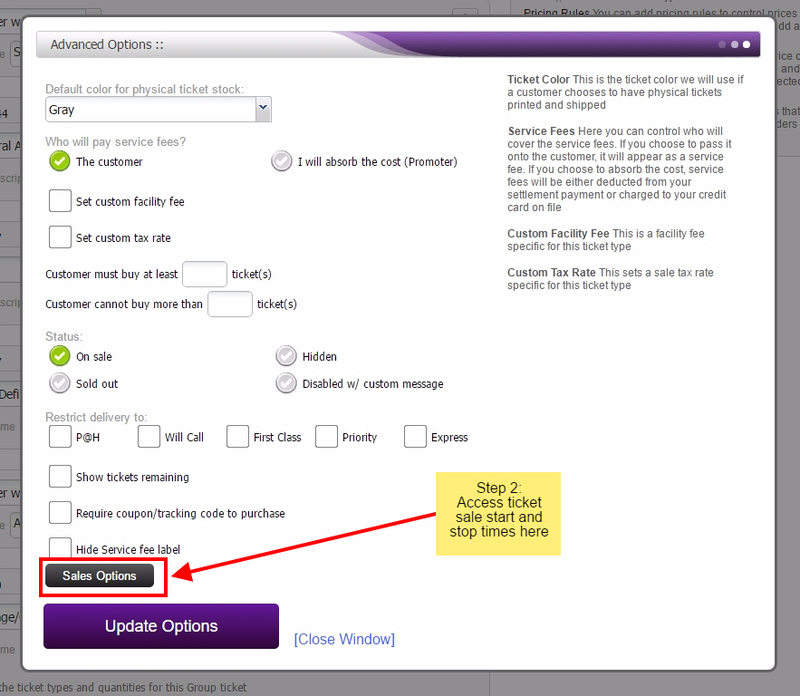 Here you can change the start and stop times of the sale for this particular ticket type. Once you finish this make sure you click Update on every page as you exit out.